Just one last thing today….a bit of a scattered day and mostly my focus has been on the scientific and nature topics. And of course all those things are “spiritual” in their way. Deb Bailey and Spiritual Judaism- One People World United shared a link. Let us have a moment of silence for the dear departed meatloaf…..one should never do a meatloaf in a crockpot without “other things” and liquid – it’s juices do NOT constitute liquid…..windows open in the house on a cold mid-January morn……eating out tonight. 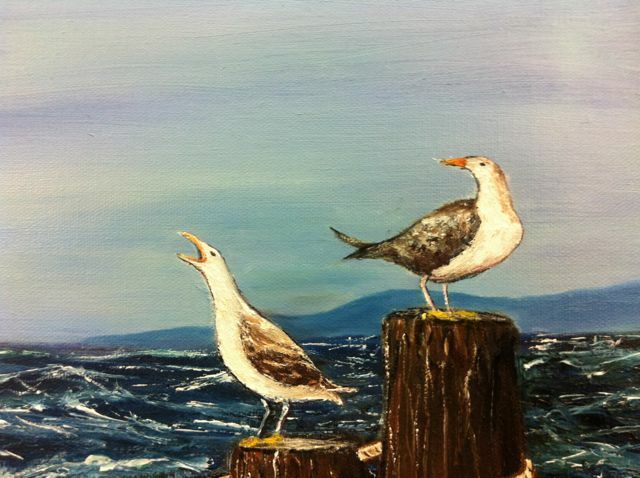 By then I might be able to pry the meatloaf out of the pot….. for whatever talents I have in oil painting, writing, studying sea creatures and finding odd facts to share here….that talent does NOT translate to cooking skills….the kitchen is a no-man’s land this morning…..
Update on the seagull seascape painting. 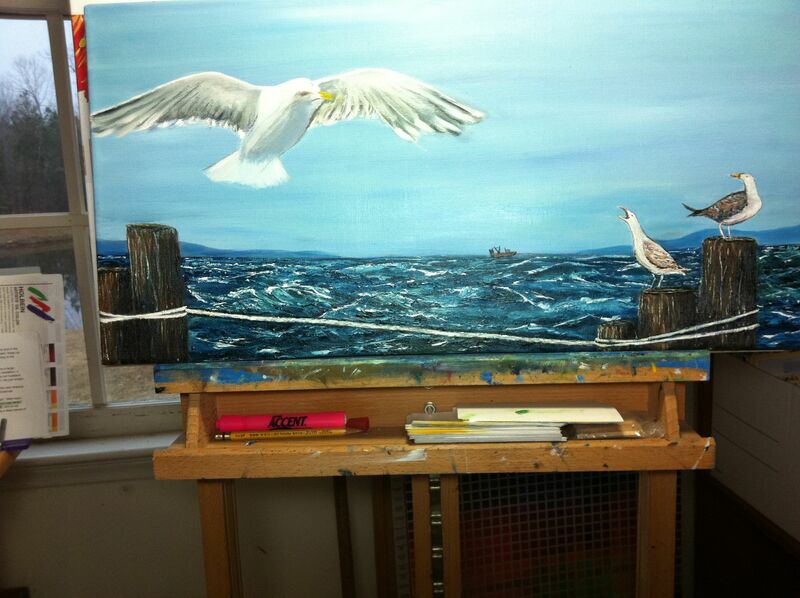 Added a bit more to all of the seagulls, more highlights and shading to the pilings, and ropes around pilings and connecting them. 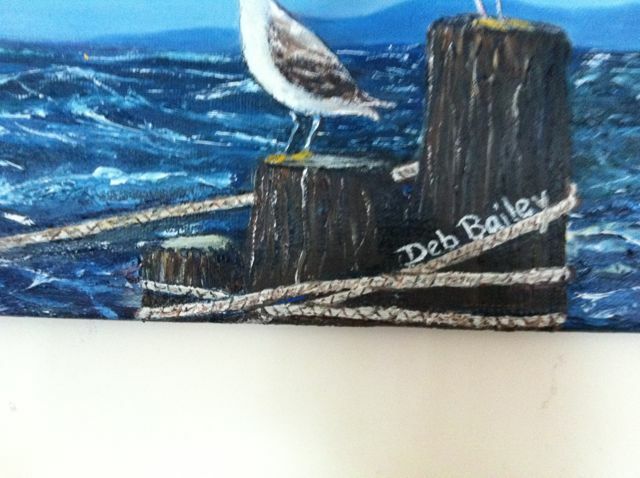 Now the painting needs to dry so I can then put a slightly greenish brown wash over the rope – give it that weathered, sea-algae coated look. Right now the rope is too white. 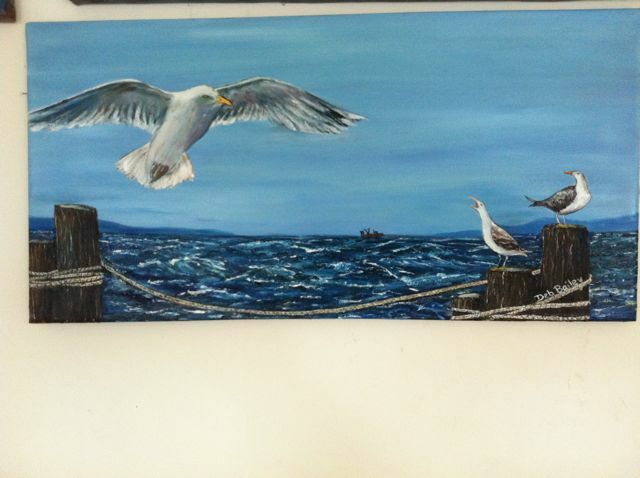 The two gulls on the left are getting closer but need to dry before I can put in some defining highlights and shadows on the feathers, eyes and mouths. 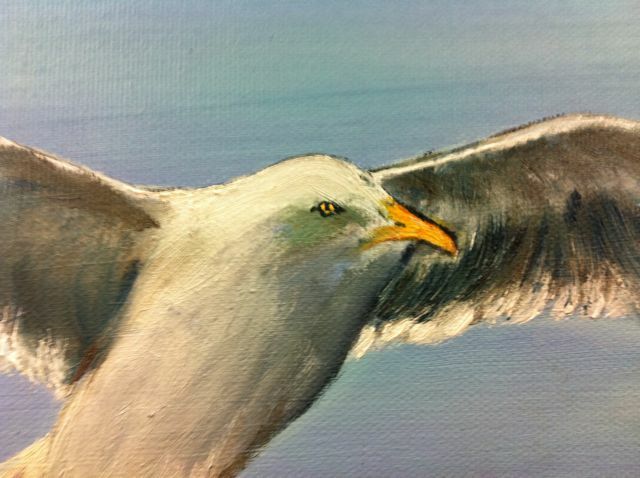 The hovering gull is ’emerging from the canvas’ – feathers starting to be defined, beak and eyes starting to go in, darks and lights in the feathers getting stronger. Stay tuned for next progress shot. You are currently browsing the Soul Mosaic blog archives for January, 2011.